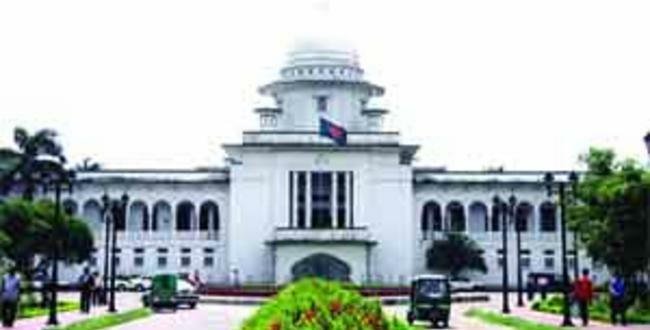 Dawood Ahmed joins JiC for this post to update readers on judicial proceedings at the Bangladesh War Crimes Tribunal. You can find his introductory piece on the subject here. Enjoy! Bangladesh appears to be powering ahead with its war crimes tribunal, established to try those who collaborated with the Pakistan army in committing war crimes during the 1971 independence war. On Nov. 20th, its first suspect, Delwar Hossain Sayedee was charged. I wrote here about the historical context in which the tribunal was established. The Bengali government has also now upped its ante by demanding a formal apology from Pakistan, although it is not clear whether this is forthcoming. The tribunal has been welcomed by many as a late but useful tool to “set the record straight”, so to speak. Nevertheless, though many were killed or suffered in other ways that year, the fact still remains that the tribunal is thought to be a kangaroo court. A major criticism relates to case selection. Although the tribunal claims comprehensive jurisdiction to “try and punish any individual or group of individuals, or any member of any armed, defence or auxiliary forces, irrespective of his nationality”, it is not prosecuting Pakistani soldiers or members of the Bangladesh military. 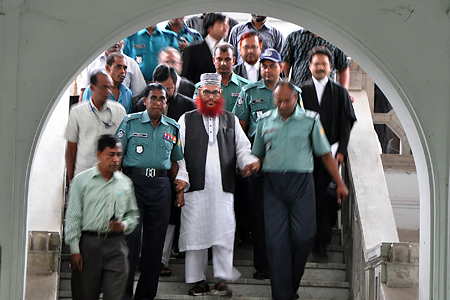 It is chasing only easy targets, members of the opposition parties comprising the Bangladesh Nationalist Party and the Jamaat-e-Islami – indeed all seven defendants who are currently under investigation are elderly members of the opposition, some of whom were clearly against the creation of Bangladesh, but membership in itself does not, of course, make one necessarily guilty. True, trying only political opponents reeks of strategic behavior, but not trying Pakistani soldiers or members of the military can hardly be said to be an unreasonable strategy. In an ideal world, it would no doubt be a good deterrent if everyone would internalize the costs of their crimes through punishment, but perhaps the government simply wants to achieve a symbolic closure and understandably not let the ‘perfect’ be the enemy of the ‘good’. 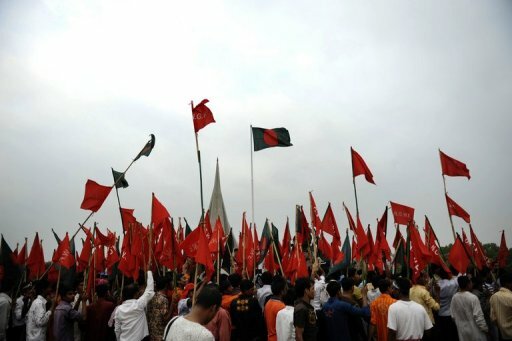 Bangladesh, like Pakistan, has seen the military overthrow the elected government a number of times in its relatively short history; the most recent coup was in 2007. Who then can blame the government for not wanting to upset the military? In relation to trying Pakistani soldiers, it is wishful thinking that this was ever a possibility. Even after the war, when Bangladesh had access to Pakistani suspects and could collect fresh evidence against them (a video of the surrender is here for those interested in history), they could not succeed in doing so. So, what makes critics think that, 40 years later, Pakistan, would hand over some of its soldiers (many are dead, some are retired now) to be tried in Bangladesh for absolutely nothing in return – and frankly, what could Bangladesh offer to convince them? A question mark also exists over the fact that pro-independence fighters belonging to the Mukti Bahini, who killed thousands of ethnic Biharis (who had sided with Pakistan), are not being tried. It is a valid and tragic concern that crops up whenever victor’s justice is implemented. However, the majority of the country likely does not sympathize with those who, in their perception, aided the enemy. So, it is perhaps a natural result of representative politics that only one side gets tried. Of course let us not underplay the fact that the side that is being tried, the collaborators, also committed the overwhelming majority of crimes. The second major criticism has to do with process bias – that the tribunal is not a ‘fair’ court. Allegations of bias have been made against the chief judge by defence lawyers, some of whom have also been harassed by the government. The allegation holds that the judge who heads the tribunal is biased because he was part of the commission that investigated the case against these defendants in the 1990’s and so he has already made up his mind as to the defendants’ guilt. It is not an unreasonable challenge of course, but the court rather bizarrely responded that to challenge the independence of a judge was to engage in “contempt of court” – that in itself speaks for how ‘independent’ the court is. Recently, a U.S. envoy has stated that the tribunal needs to better define ‘crimes against humanity’ to avoid manipulation and HRW, along with other actors, has claimed that many due process flaws exist in the tribunal. I think a good dose of pragmatism is in order: whilst it would not be fair to expect Bangladesh, one of the poorest countries in the world, to invest in setting exemplary standards for international criminal justice to please foreign critics, when there are no doubt more pressing human welfare concerns, many of the above criticisms are valid because they could be remedied at low cost. The government should stop harassing lawyers and defence witnesses, replace the allegedly biased judge and better define crimes – none of these aspects are difficult to put into place and would appease a lot of critics without breaking the bank. And, in fact, if guilty convictions are what the government is looking for – and it seems that there is already plenty of evidence against some of the defendants (they have after all been collecting over for almost two decades now) – it seems short-sighted for the government to rig a trial which is likely to go its way anyway. This entry was posted in Bangladesh, Justice, Transitional Justice, United States, War crimes. Bookmark the permalink.